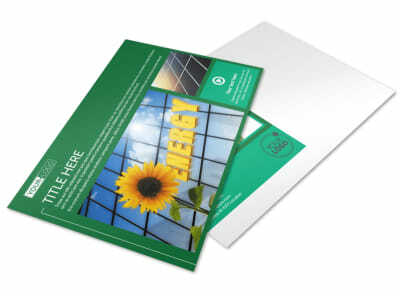 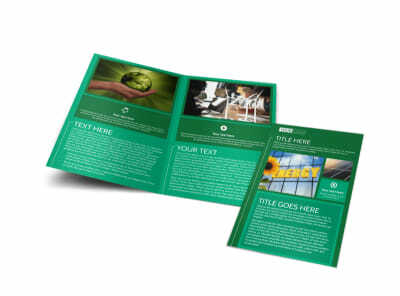 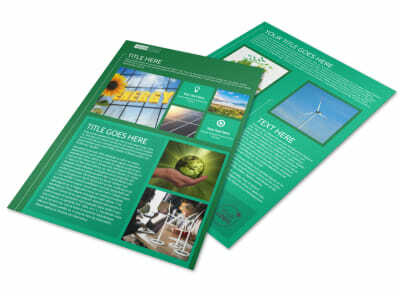 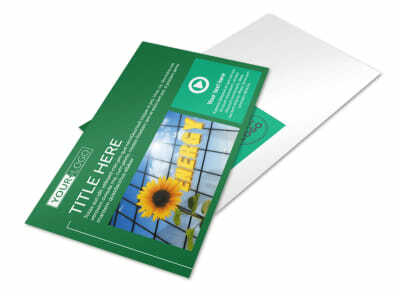 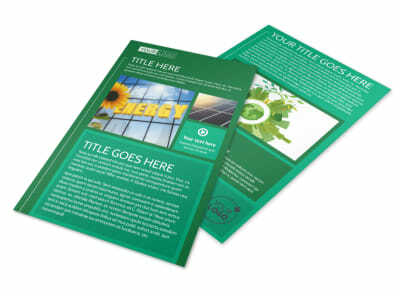 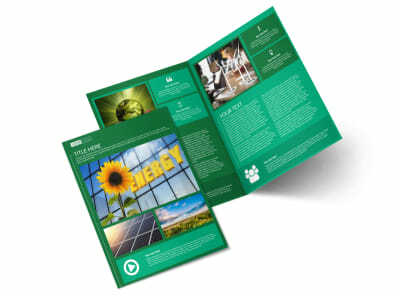 Customize our Renewable Energy Brochure Template and more! 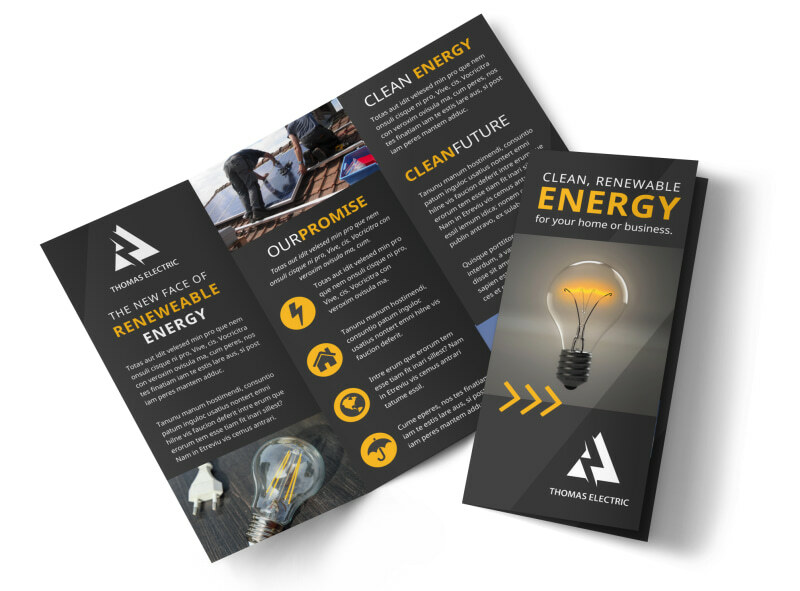 Help educate your customer base on the value of renewable energy with this easy-to-design brochure. 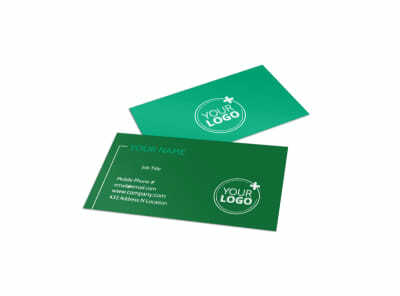 Provide info on your products, add photos and graphics, and drive home the design with custom text in your choice of fonts and colors. 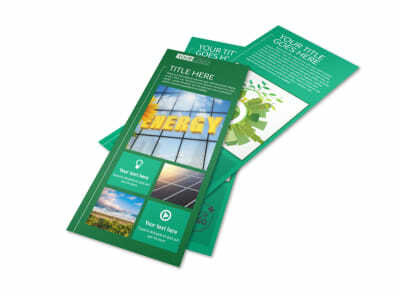 Begin designing your informative brochure today!